Sorry for the wait everyone, and for the short Q&A this time around! We'll try to have more for you next week, but in the meantime, here's this weeks Q&A! Are we gonna get the current Revamp Trading Limit System from KR soon? Or are we gonna wait quite sometime before we get the current update? I’m afraid to say but we need more time to stabilize the system and to bring it to NA/EU server. KR has recently seen revamps to multiple characters which have made them much more fun and interesting to play (Seulbi/Yuri/J being the first). Will we see these revamps in NA/EU anytime soon? Many of the character revamps are applied to NA/EU with Renovation update. It will take some time to apply the latest changes in KR server, but we will put our effort into providing the revamps as soon as possible. Can we use every public material of Closers Online for fanmade videos/artwork? Yes, if it’s not for any commercial use, you can freely use every public materials of Closers. When are the rest of the characters are coming out and also are their gonna be more costumes released? Character releases will come in time, I don't have specific dates for each one though. There will definitely be more costumes coming in the future, too. closing in on a month, no other q/a? Q: Why it is impossible to change the button for changing the skills panel when using the gamepad? You can change almost all the buttons. But this is strictly tied to the "shift" button and it can not be changed. 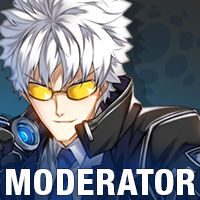 **Q: **I have an Indonesian server closers account, how do I link it here?